Reserve Online To Avoid Disappointment! 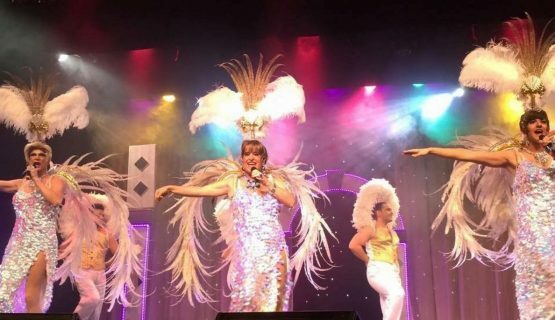 Incredible comedy and musical night at this famous, professional and hilarious drag show which has been running for more than 20 years. Transport Hotels or pick up points. Price Adult €49 / Child (up to 12) €25. Welcome to this fun packed evening suitable for the whole family. An unforgettable experience and a night out for young and old alike. Included with this great night of entertainment, the first drink included on entry, a lovely 3 course meal and Beer,Wine and Soft Drinks included the duration of the meal. There is a fully stocked bar, where drinks can be purchased before and after the meal. 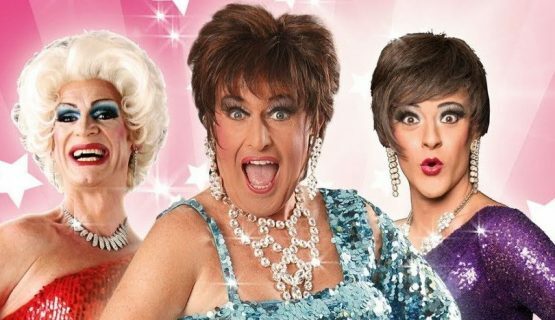 An unforgettable experience / night out for young and old alike. Sing along and dance along to songs from classics to Frozen. Hilarious and professional, you will not be able to stop laughing. Enjoy witty banter where audience members join in. Watch our ´girls` perform some of the funniest interpretations of movie stars that you have ever seen. Be blown away by this night out! Included is a delicious three course meal and your first drink. You will be laughing and singing all night long. Upon your arrival to the Music Hall Tavern, which is located at the Aeroclub, in Bahia Feliz, you will be greeted by one of our lovely ´girls`. What are you waiting for? Join us here at the Music Hall Tavern and enjoy the funniest night of your holiday. 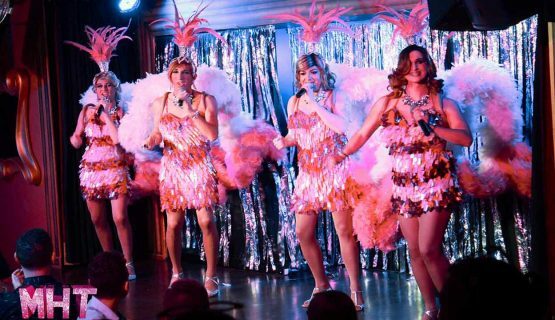 From the start, you will enjoy every moment of this all singing, all dancing, comedy drag show. There is great interaction between our stars and the audience and this adds to the experience. Book early to avoid disappointment. Click Book Now and choose your desired date. Pre booking is essential as this is one of the most popular shows in the canary Islands! Remaining balance €35 to be paid on the evening. Remaining balance €17.50 to be paid on the evening.